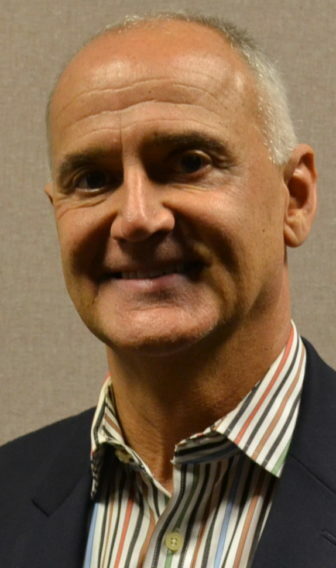 East Lansing — Patrick Fuller, a resident of the greater Lansing area for more than 30 years, announced at the April 11 City Council meeting his intention to run for the 69th district seat in the Michigan House of Representatives in 2018 election. The seat is currently held by Rep. Sam Singh, D-Lansing. Patrick Fuller announced his intention to run for the 69th district House of Representatives seat in 2018. Fuller, also a Democrat, said he decided to run for the district seat after the 2016 presidential election, when he became disappointed with the state of politics at the national level. From there, Fuller felt like he needed to do something about it. He made a pledge to himself to get more involved. And after talking with a few state representatives, including Singh, he knew it was the right time to get involved with politics at the state level. Singh, who is in his third term and cannot seek re-election, has known Fuller for a few years and said he would be a good representative. However, according to Singh, six other former officials have shown interest in the House sea,t as well. “I think he is going to have a challenge with name recognition, whereas some of the other democratic candidates in that primary will likely have some name recognition,” Singh said. Fuller also had another reason for wanting to run for election, though, one he believes gives him an advantage over his competition as well as his predecessors. The backing from grassroots organizations can have a big impact on a candidate’s campaign, said Singh. During Fuller’s time in East Lansing for the past 16 years, and Okemos for 15 years before that, he has been a part of several organizations, including the women’s march, the Human Rights Campaign and Emily’s List, all with the mission of helping others. Fuller has also started his own organization with his daughter, a University of Michigan graduate, called the Cancer and Critical Care Fund, which helps raise money for those with cancer who can’t afford treatment or their medical bills. Helping people has always been part of his life, he says. Fuller says he intends to continue helping others in new ways, as well as continue to work with the organizations he does currently, if he is elected to the House seat. Another key strategy to his campaign, Fuller says, will be engagement with Michigan State University’s campus and students, which is why he brought on two Michigan State University students — Dan Martel and Ben Schroff — to work for his campaign. Dan Martel is ready to take on the challenges and responsibility of managing a candidate’s campaign for a House seat. for another state-level candidate, and will serve as Fuller’s campaign manager. 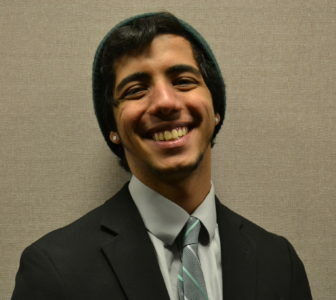 Schroff, who studies social relations and policy at MSU, will serve as Fuller’s chief LGBTQ strategist. Martel sees his age as probably the biggest hurdle he’ll have to face while campaigning for Fuller, but he says the “ageism” only further motivates him to prove others wrong. “I do mean business, and just because I might be 20 does not mean that I don’t know what I’m doing,” Martel said. While he’s campaigned and canvassed all over the state of Michigan before, he is specifically excited to meet as many of the residents of the 69th district as he can. While the community won’t have a real sense of who is running in the democratic primary come August, Singh said he hopes whoever wins will continue the work he’s done over the past three terms. “I think whoever takes this seat needs to focus on key environmental issues and education, as well as job, for a successful campaign,” Singh Said. The general election for the Michigan House of Representative open seats will take place on Nov. 6, 2018. A plan to help Michigan school districts with snow day forgiveness is moving through the legislature. The House Education Committee approved a bill this week to forgive the snow days when Michigan was under a state of emergency from Jan.